There’s a rumour going around the Twitterverse that I dozed off during truNORA on Thursday. It’s complete nonsense I can assure you. Flicking through the excellent set of images that Sara Headworth has produced you may see one of those photographic moments where a mixture of light, angle and shutter speed combine to give a false impression…proof that the camera can easily lie. 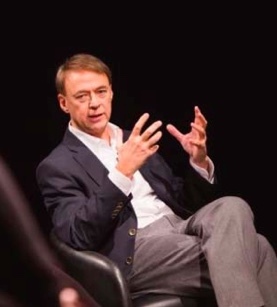 The offending picture was actually taken during a track that I was co-leading about the candidate experience…there was plenty of debate there to ensure that I didn’t doze off. I’ll start my thoughts of the day with the candidate experience track as it’s the second candidate experience track that I have co-led at a tru event this year, and it’s a subject that has filled blogs, comments and numerous conversations, both online and offline. This conversation was similar to the last, in that it featured a mix of representatives from job boards and seasoned (cough, experienced!) recruiters and my conclusions are the same. Candidate experience is a state of mind not something you should have to think about doing. Automated acknowledgements, no matter how personally written, are not an experience. They should be an absolute minimum expectation as a matter of respect and service and should be followed up by a more personal interaction. Personally I think 3rd party recruiters get too involved in conversations around job board functionality. The experience that matters to the candidate is the one that happens after they have applied, and is most probably important to the candidate whose application is unsuccessful. 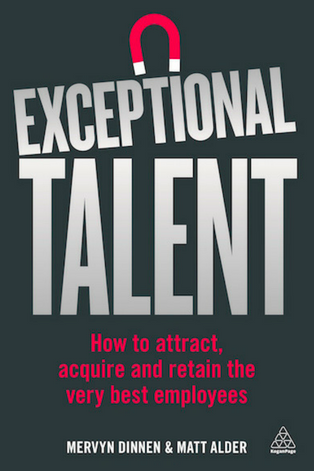 Interestingly the recruiters who talked most of the importance of personal contact in this process, of candidates becoming clients and ambassadors for your service, were the most experienced recruiters, those who have been around for 20 years or more…maybe the candidate experience really is just good recruiting habit. In which case shame on the industry for turning its back on it recent years. I heard a lot about Linked In too, and have to say that each improvement and enhancement to functionality seems to signal another nail in the coffin of traditional 3rd party niche permanent recruiters. Just my opinion, I know, but the industry really does have to come up with a value proposition and offering that does not include something that a client can do for themselves. Posting on job boards and searching on LinkedIn are both routes to market that a well connected hiring director has available directly…we should be able to offer something more that justifies our fee. Most new LI tools are aimed at clients, not at recruiters, which I fear could well lead to a client being able to put together a stronger shortlist than a recruiter unless we look seriously at what we can offer. With recruiters slow on the LI uptake, it was even more interesting to hear employKyle talk of his age group’s indifference to the platform. Recruiters should be ahead of the curve, not playing catch up…which is why we need to be on top of how the next generation workforce will communicate and engage. I really enjoyed hearing about Hard Rock and what they do. Loved the Authenticity – Lifestyle – Purpose approach to engagement and believe it is something that all companies should aspire to. I have long thought that trusting your staff, and enabling them see a wider purpose to their role and your business, is key to getting the best out of them. Companies have nothing to fear from social media if they have an engaged, collaborative workforce. If you fear your people will use social media to portray a negative image for your business then your problem is not social media…its much closer to home. …and certainly no time for napping! Love that penultimate paragraph Mervyn. When will employers stop seeing Social Media as a threat? The only true threat it poses is that of a missed opportunity! Thanks for commenting Jon, and for the kind words. I think that it will be a long, slow process…and as with a lot of changes around communication, it may well happen from the bottom up. 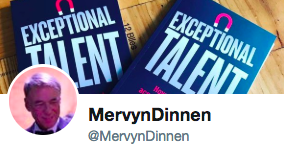 Good on you, Mervyn – I enjoyed this post and it’s got my head a’spinning, which is actually a good thing for me. Ringing quite loud and true: “Candidate experience is a state of mind not something you should have to think about doing.” Love this. As a soloist, I often cry and whine about how I want to do a better job of keeping candidates – even those who apply cold when we have zero openings – connected, cared for, and at least communicated with. Then I stop whining about it (to myself, ’cause it’s jes lil ole me here), and get it done, and it feels right and good. We have to take the time, whether we’re solo HR folks who do recruiting along with everything else, or we are part of a focused recruiting team, or we’re third-party recruiters. Candidates are life. Feed and water them. Thanks Richard! Very wise words indeed…candidates as life, feed and water them. Too often, on the 3rd party side, they are just seen as money.